Making Plans for "Cathy’s Living the Dream Fantasy Sew Along"
So while summer isn’t exactly the best time for me to be participating in a sew along either, by then my current projects should be finished (read: they better the heck be done because I need to wear them! ), so putting off some of the practicality of making shirts and pants and useful things could be accommodated. In the spirit of Peter’s motto (“build the dress and the event will happen”) I have most decidedly been living with the motto “buy the $0.99 pattern and you will eventually use it.” That, and I worry about things going out of print. Especially costumes, since their lifespan seems to run with the popularity of current movie releases. So, as you may have guessed, I already have too many pattern options from which to choose, and I may need some help deciding. Let’s look at the options, shall we? 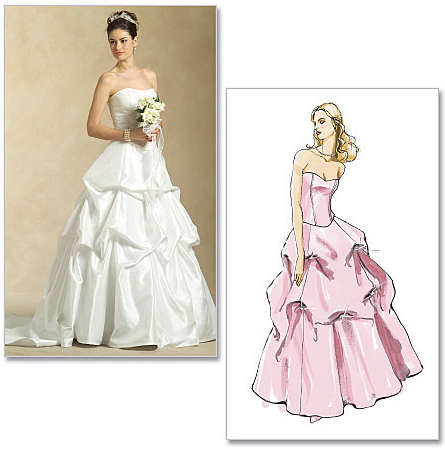 These both could be worn to weddings and other such events that are likely to occur at some point in the future. These patterns are already quite embellished, so I don’t think I would be doing too much to add or change them. I would probably use different colors, as I am not really a pink girl. I love these, but I honestly think I will actually use them in the future to create dresses for events I may be going to, so I don’t really know how well these would fit in with the whole goal of creating the fantasy design that would never normally be worn in real life. These again I would probably not add or embellish much beyond what is already used in the pattern – I appreciate the simplicity of the designs and feel like adding more would destroy the overall look. But I would, of course, try to find and use as fabulous a fabric as possible. 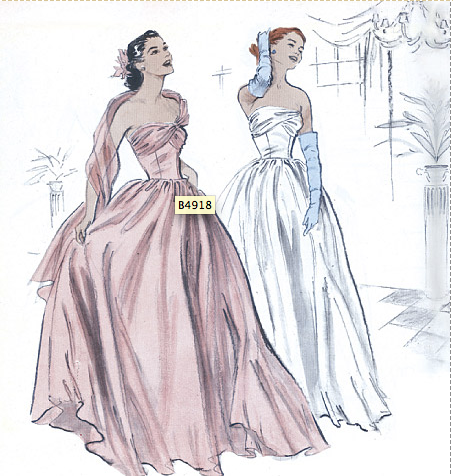 I like the Butterick design because it feels very Cathy – 50’s retro vibe but absolutely fabulous. 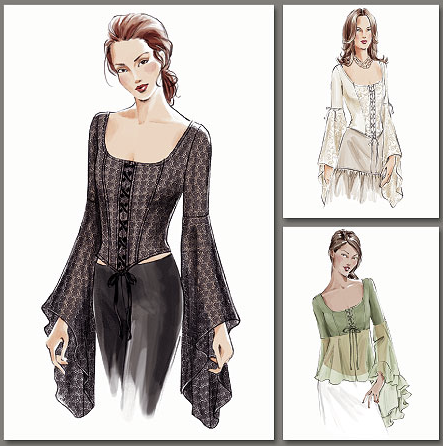 For that design I would make the pink one with the extra shawl bit – just to add to the fantasy of it all. So, obviously, these patterns are a little more “costume.” But, I think I would make some changes to all of these to make them more fantastically fabulous gown and less movie costume reproduction. For example – the first Simplicity look I would totally go insane with embellishment on the stomacher – lace, beading, rhinestones, etc. etc. 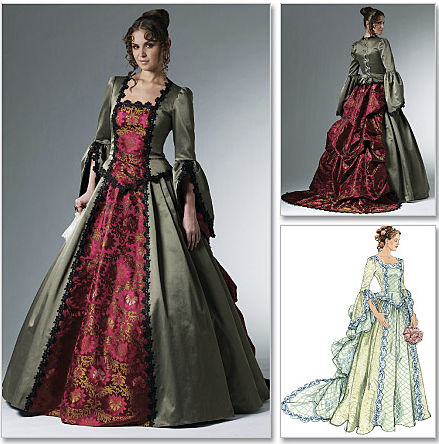 For the first McCall’s (wedding-ish) dress – I would very much plan on playing with the skirt, trying to make it more Belle from Beauty and the Beast, and less David’s Bridal. There would also be much more going on with the top (perhaps some fabric around the shoulders, some flowers? Sequins? Rhinestones?). 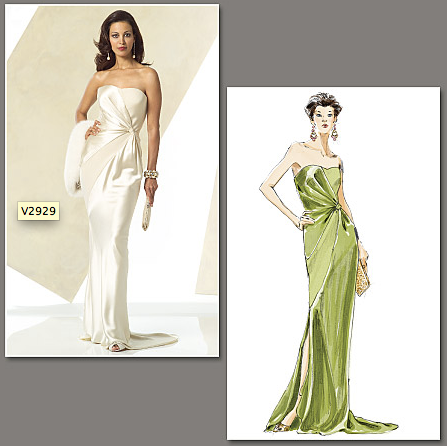 The second McCall’s option (6097) I would either make the entire dress or probably just use the skirt and then use the Vogue 7733 (white or black patterns) for the top. The McCall’s top and the Vogue top are similar, but the Vogue one laces in the front, which could be fun. 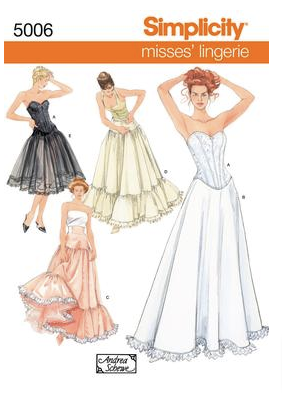 For any of these options (as well as the Butterick 4918) I would probably also need to make petticoats (and possibly bum rolls and other things) so that the skirt will sit right and have the correct amount of volume. In any case, with anything I pick for this sew along there is much sewing to be done. 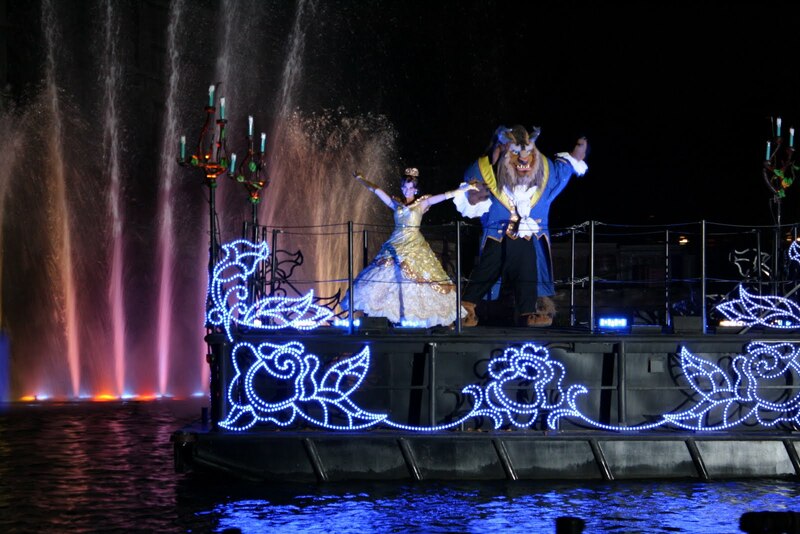 Belle, in Fantasmic! Is there anything so fantastical? In any case, just by reading through books and the internet I feel I am far more prepared to create something amazing and have it actually look good than I was when I made the costumes shown previously on my blog. 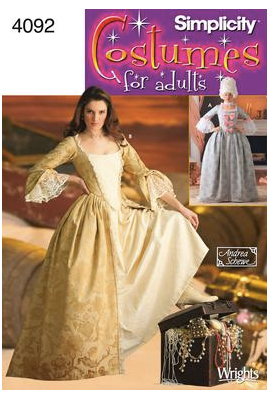 I think this sew along may be just the chance for me to do that, so I really am excited and do intend to do it. And even though the official name and date hasn’t even been announced yet, I can’t help but be excited and plan ahead. And, fellow sewers, hopefully, maybe you want to plan ahead too? Just as a heads up Jo-Ann sales on Simplicity patterns for $1.99 Thursday April 21-Saturday April 23. Also, buy one get one on buttons! So if you want to participate, but don’t stock up on crazy patterns like I do, this might be a good time to pick a few up on the cheaps. I say go in guns blazing. 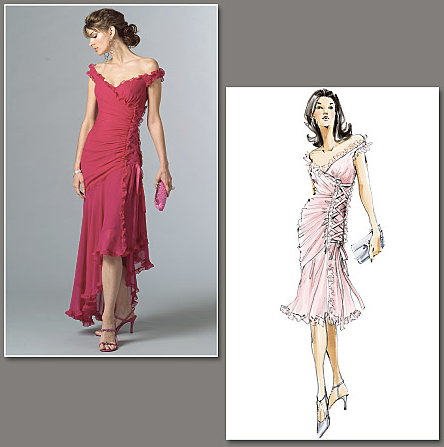 If it is a fantasy dress sew-along, then it should be about fantasy, and an unrealistic dress design. It'll be a lot of work, but I know you can do it.